When it comes to insulating your home to make it energy efficient, there is no doubt that the windows play a huge part. Good functioning storm windows can protect your home against the hot weather and the cold weather. You can maximize the efficiency of your storm windows by creating a sealed air pocket between them and the outside window. Some older houses were constructed with wood frames around the windows. They do not have storm windows. If you went to hire someone to retrofit new windows in this scenario, the project could get very expensive. However, the alternative is not nearly as expensive. You can use Plexiglas to help resolve this issue. Here I how you can make Plexiglas windows. Read on for more details. 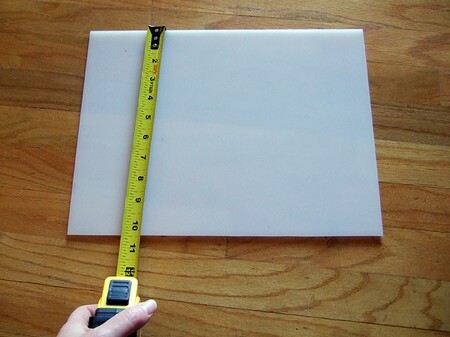 Use the measuring tape to determine the actual size of the windows frame. Both the wooden frame and storm window should measure approximately 1/8 of an inch smaller so that the new Plexiglas can be securely put in place and held with the weather stripping. Cut the 1×2 lumber into four equal sections. They should fit into the sides of the window pane. It will measure smaller than 1/8 inch. Use a 45 degree miter to cut the ends of the wood with your saw. Notch out a straight line that measures1/4 inch deep the thickness of your Pexiglas. Do this on the interior edge of all the wooden sections. Cut your Plexiglas by adding a 1/4 inch extra to each side to ensure a proper fit. Score Plexiglas using a utility knife on each side. The side with the scoring should be aligned with a straight edge like a table. Push down to break the Plexiglas along the score. Put the Plexiglas in the frame. The routed grooves will accommodate them well. Once all the Plexiglas is in place, staple it at all the corner joints to make sure it won’t fall out. Silicone caulk needs to be applied around the interior edge of the window frame. Do this for each side. Let the silicone caulk dry before moving on to the last step. On the interior of the window frame, add the weather stripping pieces. Place the Plexiglas window in the proper position. The weather stripping should hold the weight of the Plexiglas. You can take these out when the weather isn’t the same or if you want to open this window. Removal is easy.